Keeping your vehicle interior clean isn't always easy. Whether you are trying to defend against spilt drinks or protecting against your kid's muddy shoes, you can get the superior quality defense with a set of Michelin EdgeLiner floor liners. Seriously, have you ever experienced being rushed in the morning and when you go to set your coffee in your cup holder, you somehow miss the mark? You then instantly grimace at the thought of your nice factory carpets being stained by your large black coffee. Worry no more as these EdgeLiner floor mats guard against your rushed morning accidents! Same thing goes for your second row, kids do not care that they could possibly ruin the OEM carpet with their dirty shoes, their only care is that they scored the winning goal at their soccer game! With the Michelin floor mats, you better believe your only care will be getting your kids into the vehicle so you can go celebrate too! 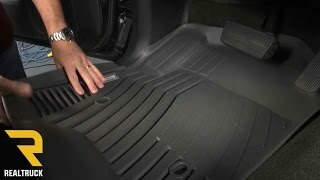 Contoured to fit your vehicle's flooring and manufactured using injection molded resin, each floor liner is created with the consumer in mind. From the deep channels to the surrounding containment walls, even the worst of the elements won't be able to damage your carpet! Choose from black, grey, or tan color options so that you can best match your interior design. The anti-slip nibs protect you as your step into your ride from your mat shifting under your feet. 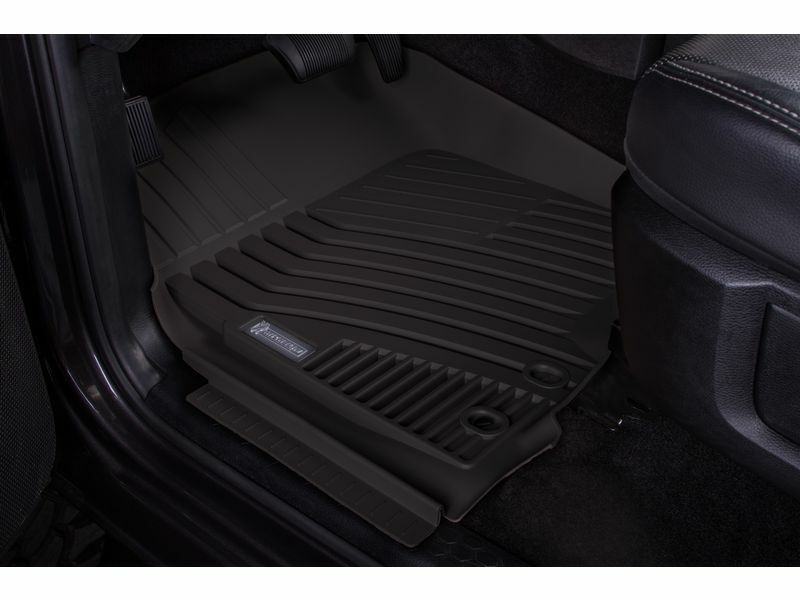 Do yourself and your vehicle a favor, get a set of Michelin EdgeLiner floor liners today! Locate the MICHELIN EdgeLiner with the "Driver" sticker and install in the driver's side of the vehicle. Slide the MICHELIN EdgeLiner under the vehicle control pedals (accelerator, brake, parking brake, and clutch, if applicable). 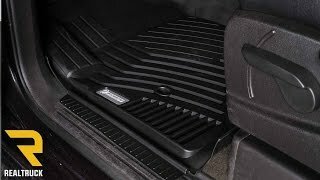 If equipped, secure the MICHELIN EdgeLiner over the "floor mat" retention system in the vehicle, which is usually positioned near the base of the seat. Once your MICHELIN EdgeLiner is installed, ensure the liner fits securely into the floor pan of the vehicle, with the retention system locked in place.